Suitable for packing light industry, food and beverage, candy, stationery commodity, printing products, medicine, chemical, hardware and electrical components, etc. 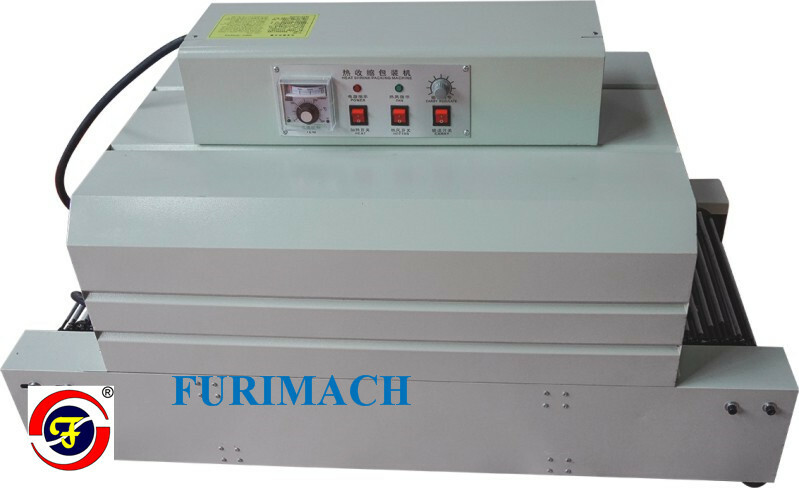 This machine is the latest automatic continuous shrink packing equipment at present. It adopts quartz far-infrared tube heating for saving electricity (save 15% plus). Shrink packing machine adopts frequency control motor, whose speed can be adjusted within wide range. This machine has a nice appearance with easy maintenance, and is applicable to all kinds of shrinking films.